Kathy Hughes Graham has a birthday today. 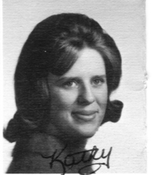 Kathy Hughes Graham added a comment on Profile. Kathy Hughes Graham has a birthday today. New comment added. Kathy Hughes Graham posted a message. Kathy Hughes Graham posted a message. New comment added.